Locations only appear for notes taken in the NoteVault Notes! app for Apple iOS and Android devices. Once logged into the NoteVault website, a location pin icon will appear over notes that have locations available. You must hover over the note in order for the location pin icon to appear. 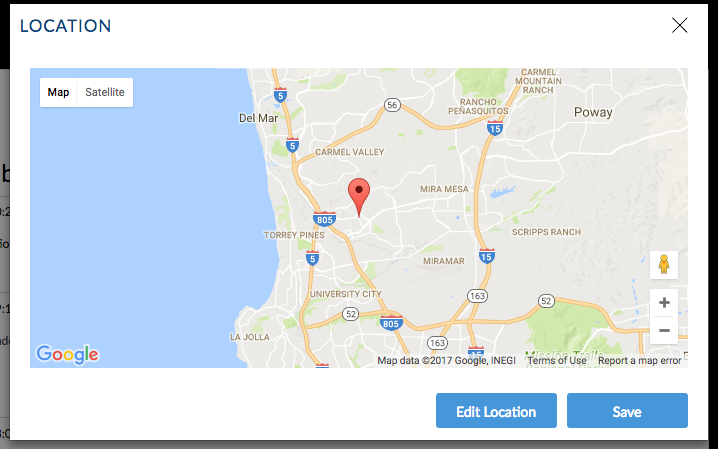 Click on the location pin icon and the location will open up on a Google Map. Log into the NoteVault Notes! app. Find the note you wish to see the location for (remember, you can only see the location for notes taken in the NoteVault Notes! app).